Just in time for CommVEx, on Friday I received 3 bottles of Syrah wine from Baysinger Cellars. 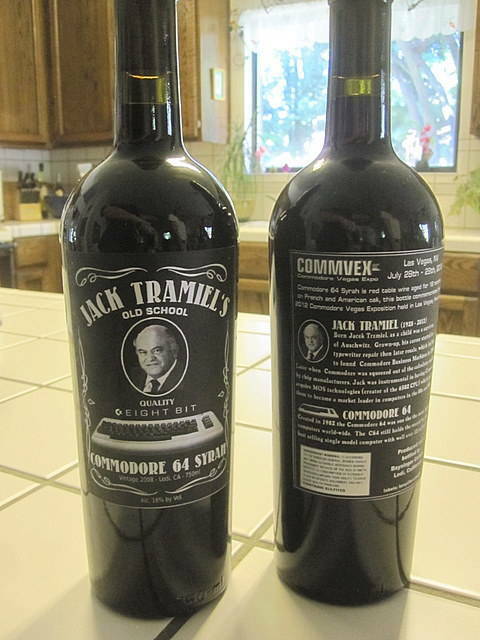 Note how the wine bottles are labeled, "Jack Tramiel's", in honor of the late Jack Tramiel, founder of Commodore Business Machines. This wine came from a batch which won a silver award at the California State Fair and a silver award at the San Joaquin County Fair. High class!